Aren’t they absolutely adorable? 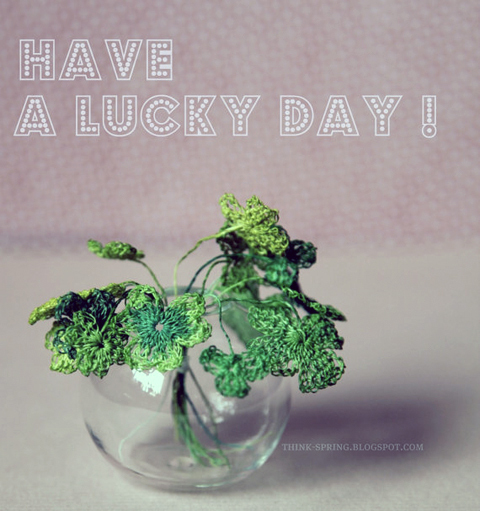 And who doesn’t need some extra luck from time to time? 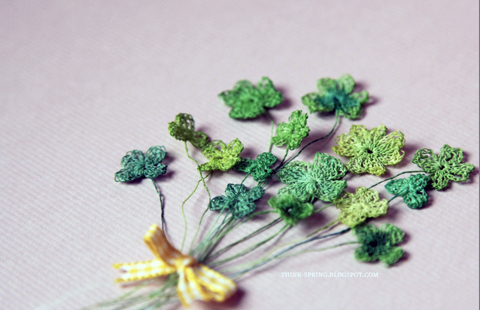 These stunning little lucky charms were crocheted and colored by hand by talented Italian craftista Giuliana Primavera and can be found in her Etsy shop ThinkSpring. 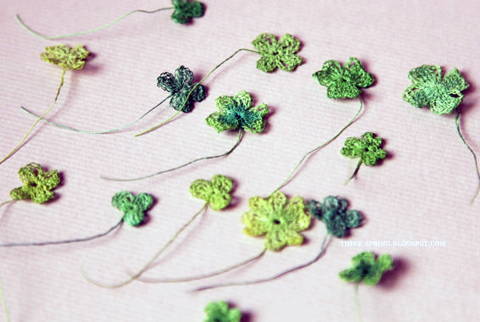 Giuliana crocheted the shamrocks out of PaperPhine’s finest paper yarn and afterwards carefully colored each single leaf with water colors. The shamrocks are sold by Giuliana in mixed packs of 5 and make a wonderful addition to your stash of scrapbooking, crafting and gift wrapping supplies – or put them into a small frame and onto the wall for your daily dose of extra luck and a smile! 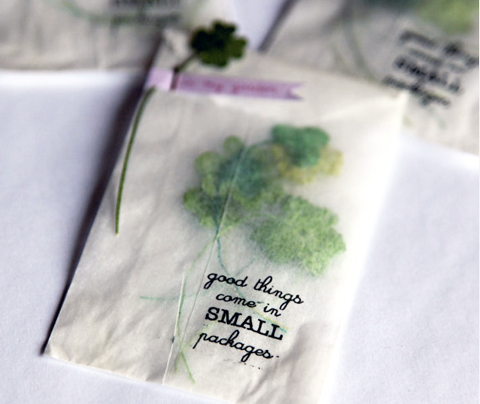 Even Giuliana’s packaging is adorable – “good things come in small packages” – we could not agree more!